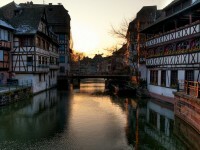 Multicultural and cosmopolitan Strasbourg, the capital of Alsace, has been for centuries one of the cultural and financial capitals of France. Several important institutions of the European Union are located in Strasbourg, so there is no shortage of rich dignitaries and restaurants and shops to make them feel at home, and the hefty student population keeps the city vibrant all all hours of day and night. Strasbourg’s dining scene and nightlife are definitely enough to attract holiday-makers, but the ultimate tourist magnets of the city are its sights. If you are interested in the historical and cultural sights of France, then don’t miss out on the top 5 sights in Strasbourg. Strasbourg’s Cathédrale Notre Dame doesn’t look much like the more famous cathedral sharing its name in Paris, but it is every bit as worthy of being visited. 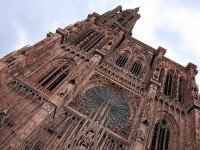 The cathedral is without a doubt the finest architectural gem in Strasbourg, and it dates back to the 15the century, but it was under works for four centuries before being completed. 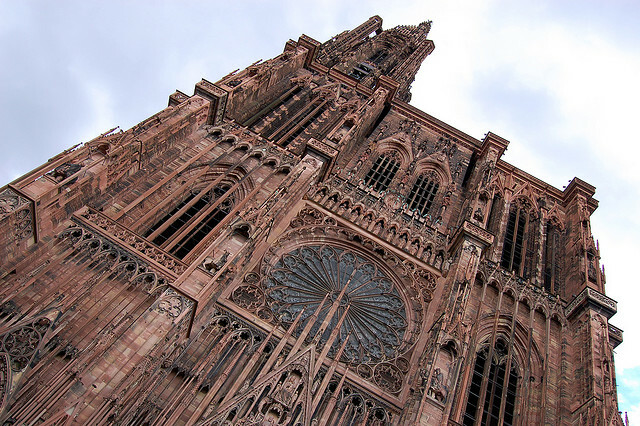 It is the sixth tallest church in the world, and can be seen from the plains surrounding Strasbourg, as well as the Black Forest Mountains across the border in Germany. 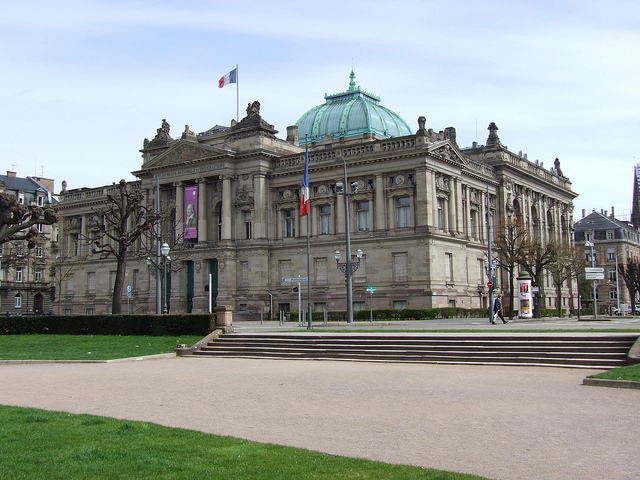 The Palais de Rohan is a magnificent example of French palace architecture, built after Strasbourg was taken by France in the 17th century. The palace is beautiful enough to be considered a tourist attraction in its own rights, but what makes it really interesting for tourists are the Museum of Fine Arts, the Archaeological Museum and the Museum of Applied Arts housed within. 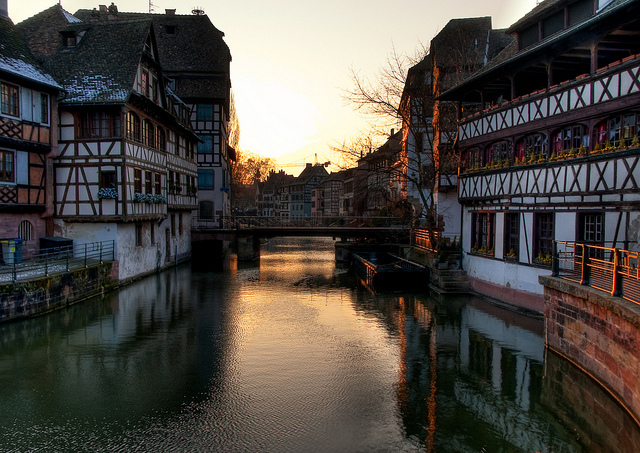 Petite France is one tiny patch of the city, so beautiful that it fully deserved to be in the top 5 sights in Strasbourg. The quarter has a canal, and narrow streets lined with half-timber houses, looking for all the world like a French village from centuries ago. The medieval atmosphere is completed by the small artisan shops and the restaurants from which the smells of Alsacian cuisine are wafting out, tempting the passers-by. The new part of Strasbourg has its own temptations, and for the outdoorsy traveler, the Orangerie is one of the most irresistible ones. The park is located in the same quarter as the European institutions, and it is a place where everyone can relax and put away the worries of the day. The park dates back to the 17th century, and its main alleys were designed by the same landscaper who created the park at Versailles. The majestic Place de la République is one of the most eye-catching squares in Strasbourg, located at the intersection of the old city and the new one. 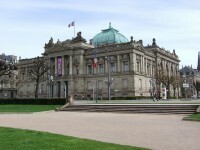 Several of the most important buildings in the city can be found in the square: the Strasbourg National Theater, the National Library of Strasbourg, and the Rhine Palace.